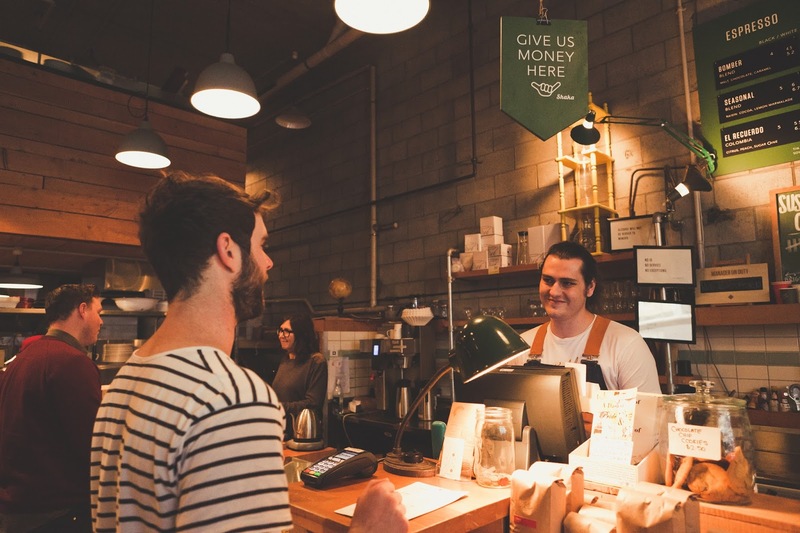 Staff Guide: How to Run Collect Offers In-Store. Learning new software can be tricky, especially under time pressure at point-of-sale. This guide aims to have you ready to go and feeling confident with your store’s new Offers program. Bit of background - It is important to keep your customers engaged in your store and create a great customer experience to encourage customers to shop again. A successful way to engage customers is offer-based email marketing. And bonus, happy and excited customers will make your day easier and more enjoyable. Collect Offers is an easy to customize, highly targeted offer-based marketing program that works seamless across all of your stores. Offers integrates with point-of-sale and eCommerce solutions, working behind the scenes to make serving your customers easy. Here is a quick rundown on your store’s Offers program and how to use it. As a general rule of thumb you should ask every customer that purchases an item from your store. These are the customers that are likely to shop with you again. Starting a casual conversation at point-of-sale is one of the best times to ask your customers to join your Offers database. You could start this conversation by using the technique of complimenting the customer, people love to talk about themselves, and by taking an interest in the customer you begin to develop a connection. Then, as you’re putting the sale through, ask the customer to join. Make sure your customers know what the benefits of joining your Offers database are. Tell them something like - "We will send you emails with exclusive special offers and promotions that we have", and customers will be more likely to sign-up. 3. To add a new customer to your database, all you need to is enter their details in your point-of-sale while you are putting the sale through. The more customer details that you can get the better, but all you need to get is the customer’s First and Last Name and their Email Address. Now the customer will automatically be added to your database, ready to receive your offers. #QuickTip: Make sure that you apply every sale to the customer. This will mean that you collect richer customer data so you can send more targeted offers in the future. When a customer is redeeming an offer, it's important to make sure this interaction is positive and exciting for the customer. If the customer has a positive experience in redeeming your Offer, they will be encouraged to shop again. Coupon Code: To redeem, simply type the code into the product bar or scan the coupon code into your point-of-sale. The discount will be applied to the sale automatically. Make sure you enter the entire coupon code and select the correct offer coupon. 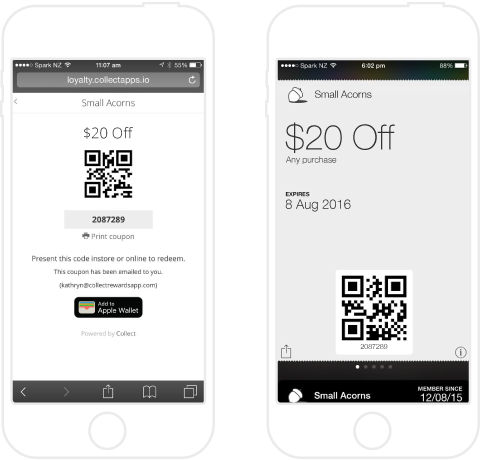 Apple Wallet: From the email, the customer has an option of downloading the coupon to their iOS device. Simply scan the coupon or enter the coupon code into the product bar. The discount will then be applied to the sale automatically. If you are interested, take a look at how Collect Offers prevents coupon abuse.